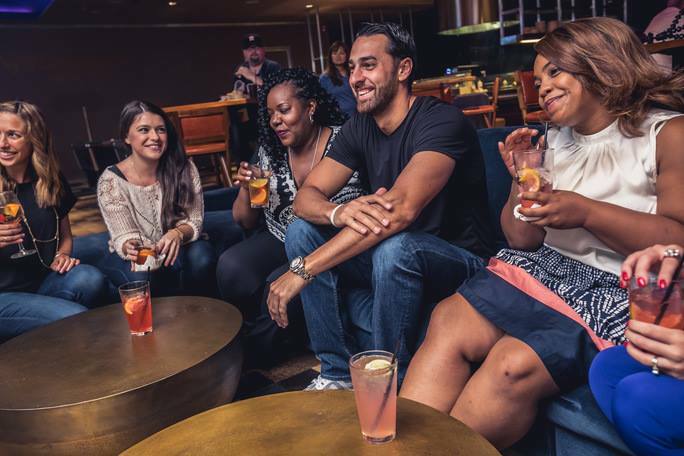 iPlay America, Freehold : Adult Party Packages Available! iPlay America - Adult Party Packages Available! When your celebration calls for some grown-up fun, iPlay America has you covered! Reserve party space, choice of menu, fun entertainment options, and more! Private party suites, bar packages and additional upgrades are available. Check out their adult party packages here! iPlay America has a variety of "adult" packages that fit any budget. Whether you are looking for a fun, casual night or a blowout party, iPlay has the package that is right for you. They also have certified party planners on call ready to help you plan the best night ever with your friends, family, or coworkers. Click here for adult party packages or call 732-577-8200 ext. 382 to get the party started! The Best Place for Kids Parties- Period. Check out iPlay America on Facebook and Instagram! iPlay America is New Jersey's premier theme park providing a world of fun like no other. Our one-of-a-kind, 115,000-square-foot space features over 250 exciting games, attractions, and rides. Satisfy your need for speed on our go karts, share a funnel cake, and win big in the arcade. Go back in time playing the Jersey Shore boardwalk games you loved as a kid, then taste the old-fashioned candy stocked in our candy store Broadway Sweets. Challenge your friends in our two-level Cosmic Battle Laser Tag arena, then play in the park to music turned way up with our state-of-the-art sound system. The live music and entertainment doesn't end there! Only iPlay America packs the good times into every inch of the park and every minute of the day!